The Dell Laptop ST2E Owner's Manual is available online and support in english language. It's consist of 37 Pages with file size of 3.03 MB. Many important information in the manual for example System Setup (BIOS) and troubleshooting. The Dell Laptop ST2E is powered by 800MHz, Intel Atom Z2760 processor. It's also support by Intel Atom Z2760 chipset. There are 2 GB of RAM (DDR2). It has 10.1 inches high definition (HD). For connectivity used USB 2.0 and HDMI connector. This laptop is also powered by 2–cell lithium ion (30 WHr) battery capacity. 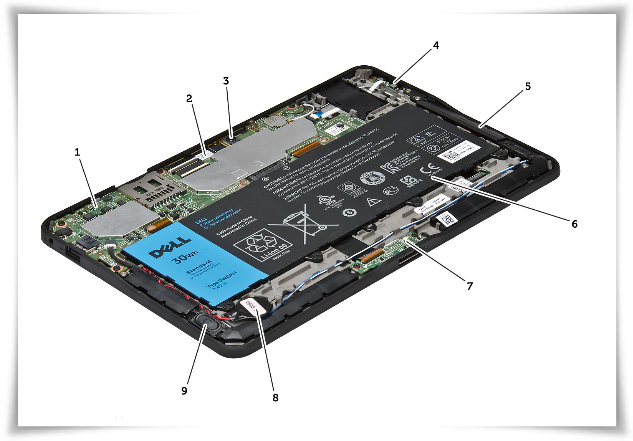 The Dell Laptop ST2E user manual is provide detail reference information such as removing and installing the base cover, battery, front camera, socking board, removing and installing system board, raer camera, the coin cell battery. Then about entering system setup BIOS, system setup navigtaion, boot menu, Enhanced Pre-boot System Assessment (ePSA), Running the ePSA Diagnostic Utility, Beep Codes, LED Error Codes, and Contacting Dell.